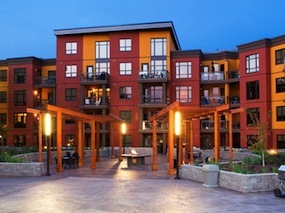 Multi family developments like Playa Del Sol, one of the largest constructed in the Okanagan, can offer unique challenges for our delivery crews. With our ability to work with site supervisors, other trades, and most importantly our customers, we have never encountered a problem that couldn’t be over come. We pride ourselves on being able to handle the big jobs, and do our part to keep them on time.